The Kris Lees-trained three-year-old Graff (l) has been confirmed as a runner in the $13m Everest. 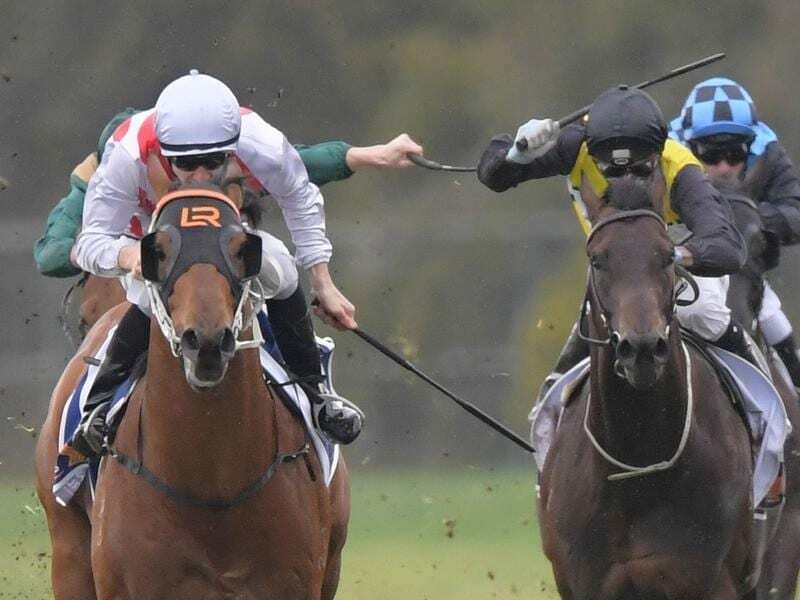 The Kris Lees-trained Golden Rose placegetter Graff has been confirmed as a starter in the $13 million Everest, leaving one slot to be filled. The group headed by Max Whitby was left without a runner when original selection Menari was injured and sent to stud. They have struck a deal with Graff’s owner Alan Bell leaving the Australian Turf Club as the lone slot holder without an Everest runner after connections of Nature Strip pulled the horse out when he failed to run as expected in Friday’s Group One Moir Stakes. Moir winner Viddora is among those under consideration. Whitby’s group had also expressed an interest in Chautauqua but he was retired immediately after failing a barrier test on Friday night. Graff has raced five times for three wins and two placings including his third in the Group One Golden Rose won by The Autumn Sun. Saturday’s Premiere Stakes winner, the Anthony Freedman-trained Santa Ana Lane is now the $7 equal favourite for The Everest on October 13 alongside 2017 runner-up Vega Magic. Santa Ana Lane beat his stablemate Shoals in the Premiere with third-placed In Her Time,also trained by Lees, on the second line of TAB’s betting with Trapeze Artist. Former favourite, last year’s winner Redzel, is at $9 following his fifth in the Premiere.